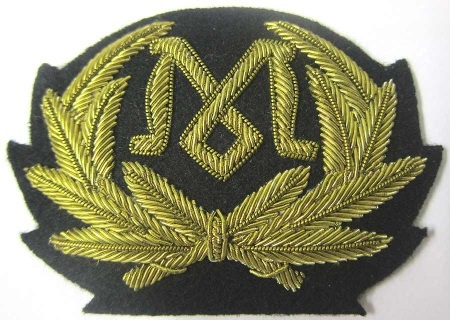 This is a reproduction badge based on an original - there were several versions, of the Marconi radio operators cap wreath or badge as worn by the Radio crew on board the Titanic on it's ill fated journey in 1912. 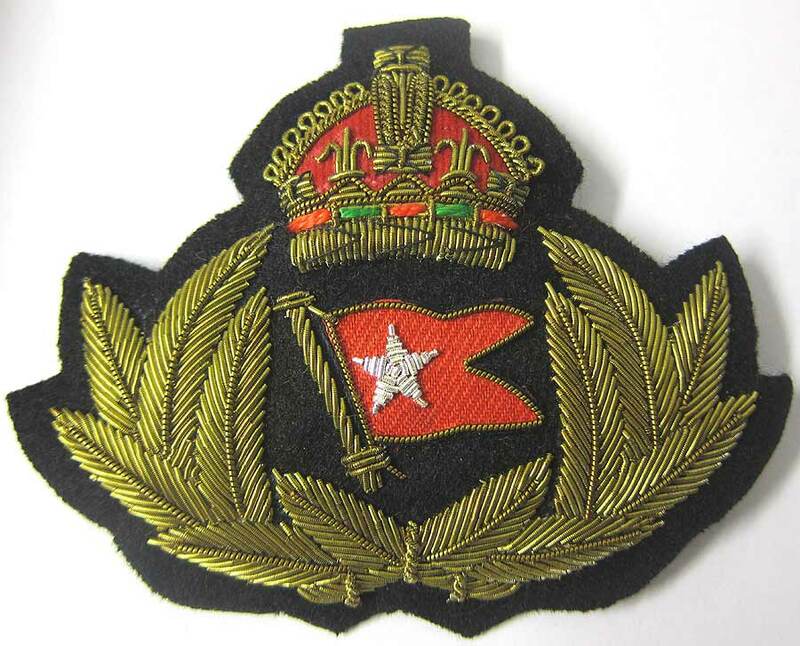 New Condition Marconi badge as worn by the radio operators on board the Titanic - White Star Line in 1912. John George "Jack" Phillips (11 April 1887 – 15 April 1912) was a British wireless telegraphist aboard the RMS Titanic and would have worn one of these on his hat. 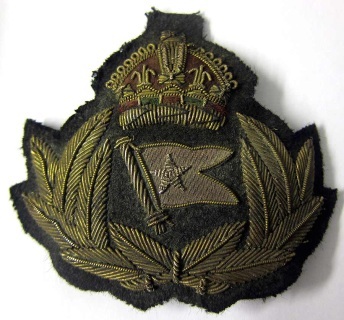 Aged Condition Marconi badge as worn by the radio operators on board the Titanic - White Star Line in 1912. John George "Jack" Phillips (11 April 1887 – 15 April 1912) was a British wireless telegraphist aboard the RMS Titanic and would have worn one of these on his hat. Notice how the bullion is dark and aged and the badge is curved. 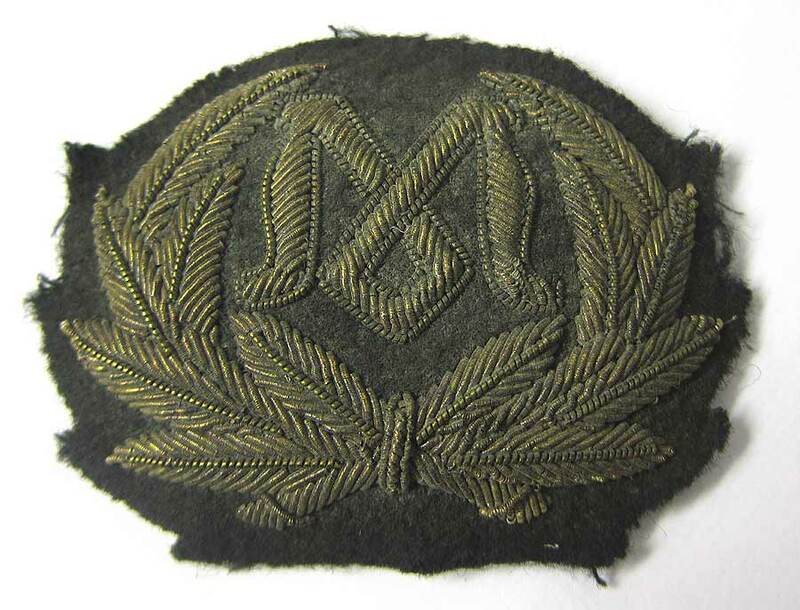 It is also wrinkled on the reverse as if it has been removed from an original titanic Radio Operators cap. New Condition Titanic White Star Line cap or hat badge as worn by Captain Smith and the other Officers on board the Titanic - White Star Line in 1912. This is a reproduction cap badge wreath as worn by the Titanic Officers on its ill fated journey on the 14th of April 1912. 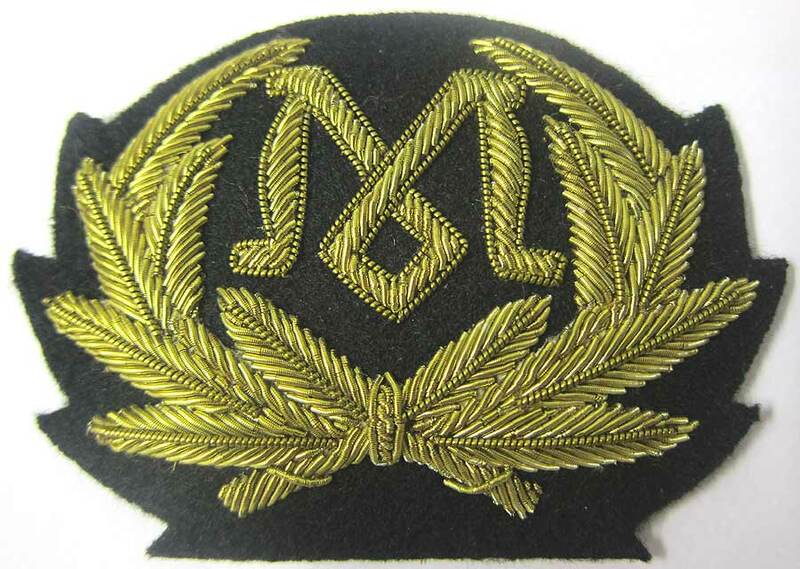 It is perfect if you want to make up a replica Titanic Officers cap just like the originals! This is the worlds best copy. Aged Condition Titanic White Star Line cap or hat badge wreath as worn by the Officers on the Titanic - White Star Line in 1912. This is a reproduction wreath as worn by the Titanic Officers on its ill fated journey on the 14th of April 1912. It is ideal if you want to make up a replica Titanic Officers cap just like the originals, replace your poor fake copy with this one.